Based on strong traffic growth in Airport business and backed by the strong non-Aero revenues, improved performance in the Energy business, the consolidated gross revenues at GMR Infrastructure grew up by 41% from Rs.2,239 crores last quarter to Rs.3,159 crores for the current quarter. EBITDA also increased by 11% from Rs.759 crores to Rs.844 crores during the current quarter. Corporate Debt is Rs.4,417 crores. Share of loss comes to around Rs. 40 crores in Chhattisgarh and in Rajahmundry around Rs.45 crores. 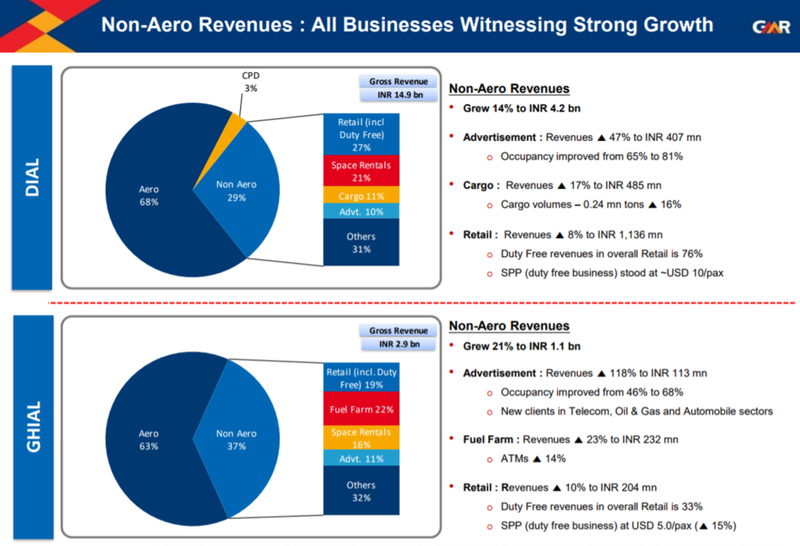 There is CCPS, which are outstanding in GMR Airports from three large PE investors. The money was taken in 2010 and 2011. The company has achieved deleveraging in PTBSL. coming down, and their divestment efforts are giving results. Neyveli Lignite has been evincing interest in buying out potential thermal assets. 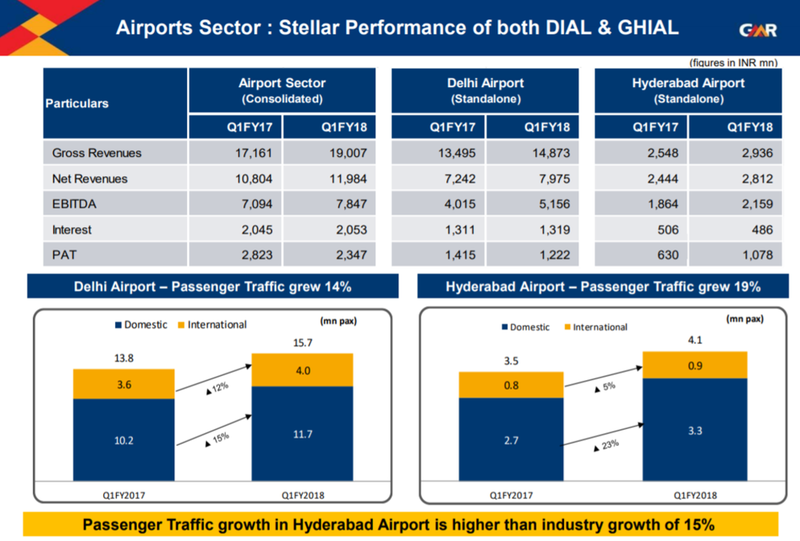 Traffic in Delhi airport witnessed a strong growth of 14% and Hyderabad airport registered a growth of 19%. Cebu in Philippines traffic grew up by 16% during the Q1. towards the contribution of planned CAPEX and any other eventualities. Hyderabad. Once it is finished, they will then start the deployment of capital and start working on the actual expansion work on the ground. They expect that to happen in the next three to four months and it will be spread over the next three to three-and-a-half years. post which they will start work on capital deployment. In worst case situation over collection will get accounted for and will move on to next control period, then there will be an adjustment in the next control period tariff. Airports and Aviation sector are doing exceedingly well with the growth in GDP and per capita income pushing traffic growth especially in Tier-2 cities. In addition, large part of the traffic growth even coming from Tier-2 cities will spill over to Tier-1 cities. In Delhi, there is no debt to be retired at this point of time. The entire debt of Delhi airport is in the form of long-term dollar bonds. The earliest repayment is in 2022. The monetization of the land it happens possibly, definitely that itself will be in the range of Rs.700 crores to Rs.1000 crores. The realization of the coal grew 18% to US$41.6/ton and EBITDA per ton has seen a sharp improvement to US$15.1 as against $4.2/ton during the quarter of last year. Have seen some realization in Warora and in times to come they expect to see this unlocking of the regulatory asset. Pro rata down as far as PPA obligation is concerned for Kamalanga.